Video. Photographer Brian Skerry risks life and limb for portraits of terrifying and alluring squid. Photographer Brian Skerry risks life and limb for portraits of terrifying and alluring squid. This video was filmed on November 14, 2011 as part of the National Geographic Live! Lecture series at National Geographic Society headquarters in Washington, D.C.
Have students note statements that represent facts or opinions, including where it’s difficult to tell the difference. What further research might help distinguish facts and opinions? How might the speaker’s viewpoint compare with others’ viewpoints about a topic? 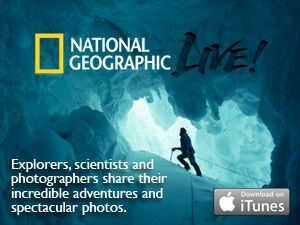 National Geographic Events: National Geographic Live! large marine animal (cephalopod) that lives in the deep Pacific Ocean. marine animal (cephalopod) with eight arms and two tentacles.